Business: Fruits, Vegetables, Fruit Juice etc. In 1971 the street vendors were evicted and market was closed down. 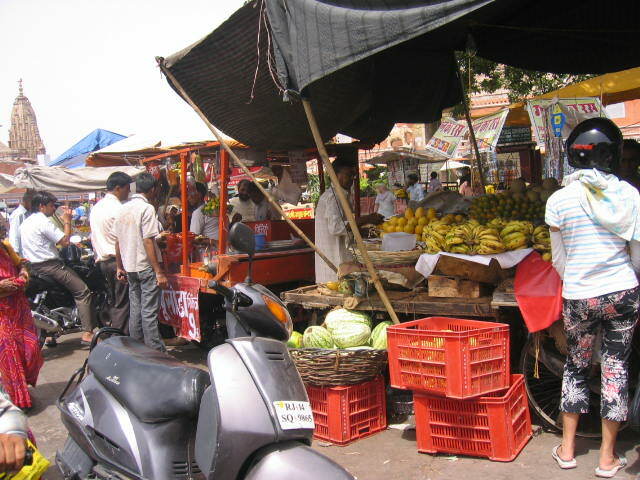 The street vendors here run their business on street as well as hand carts but they do not have any Identity card or license. 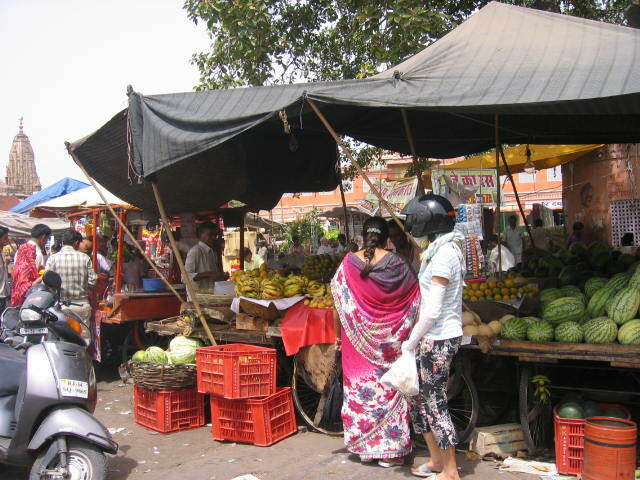 Few fruit vendors have bought permanent shops too alongside the road to keep their goods but run the business on street. They have servants too to run business in their absence. Whenever authorities come for eviction they keep their goods in shops and stop business for a while but restart business once the authorities are gone. The street vendors don’t want to be relocated. They have applied several times for permanent place and think that they will be given permanent place for vending sometime soon.